Book Salona 38 KaninVin from our base in marina Kastela, Split and enjoy your sailing week in Croatia. Uniques of this Salona 38 is in balance between a high performance hull, functionality of the interior and deck layout designed for sailing. There are 4 cabins with queen size double beds and one toilet. Salon features L shaped galley and U shaped salon with folding chart table which allows maximum usage of space and two extra berths. 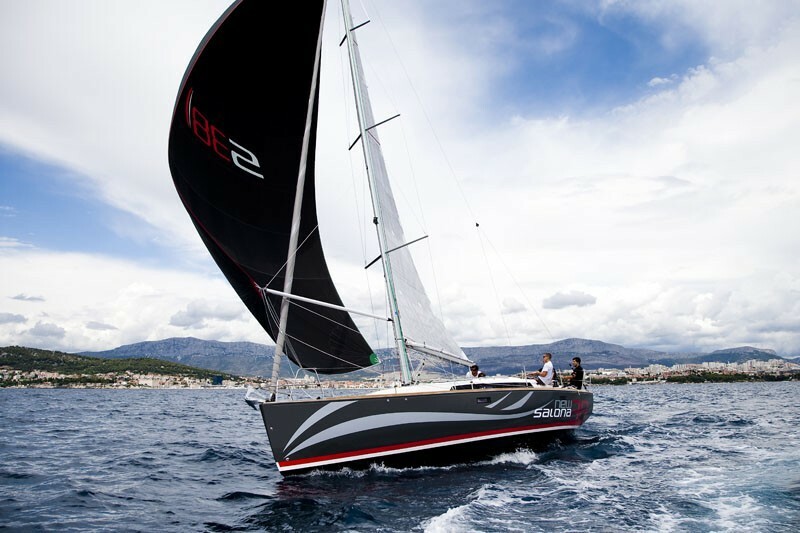 Some of the performance advantages of this Salona 38 are: specially designed keel optimized for regattas, performance mast with rigging, excellent combination of Harken&Lewmar performance equipment, foldable 3 blade propeller, full batten Dacron main sail and Spectra genoa. Some of the leisure advantages of this Salona 38 are: big bimini and sprayhood, large cockpit table, shower and 2 lockers, 2 water tanks, 2 refrigerators and heating. Reserve ourSalona 38 from marina Kastela and have a unforgettable sailing cruise in Croatia!